For Computer Science Education Week, middle schoolers at Innovation Academy dedicated time in math class to An Hour of Code, a one-hour introduction to computer science. 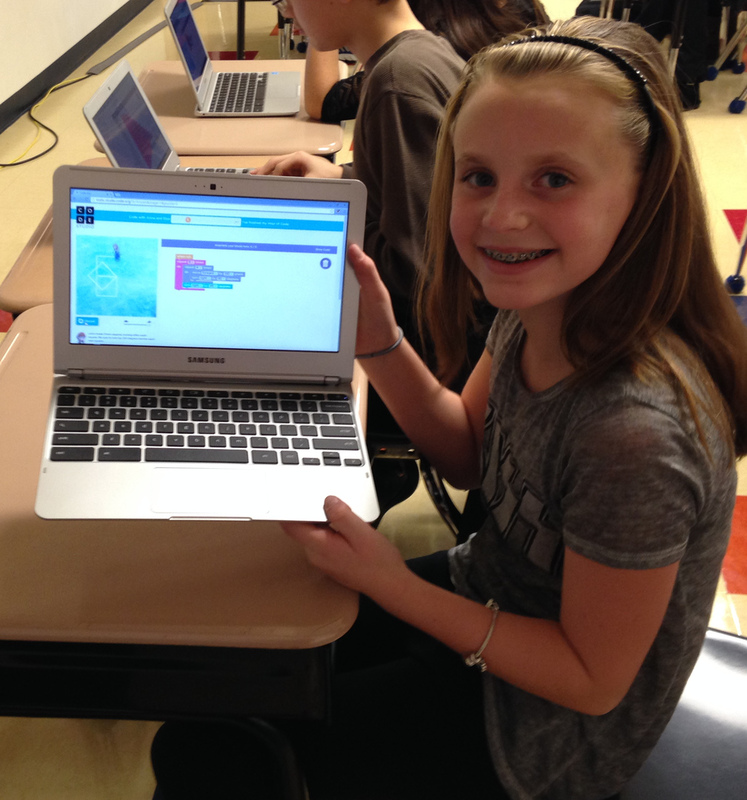 The Hour of Code helps demystify code and show that anyone can learn the basics of coding through a set of tutorials. By participating, Innovation hopes to encourage all students to explore computer science opportunities the future could hold for them. 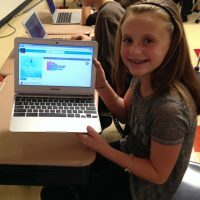 In the Hour of Code, students were able to explore a variety of programming challenges, including coding to steer Frozen’s Elsa and Anna around the ice, move an angry bird across the screen, and to create new apps using pre-programmed characters. The familiar characters hooked middle schoolers, many of whom were asking for more at the end of the hour. 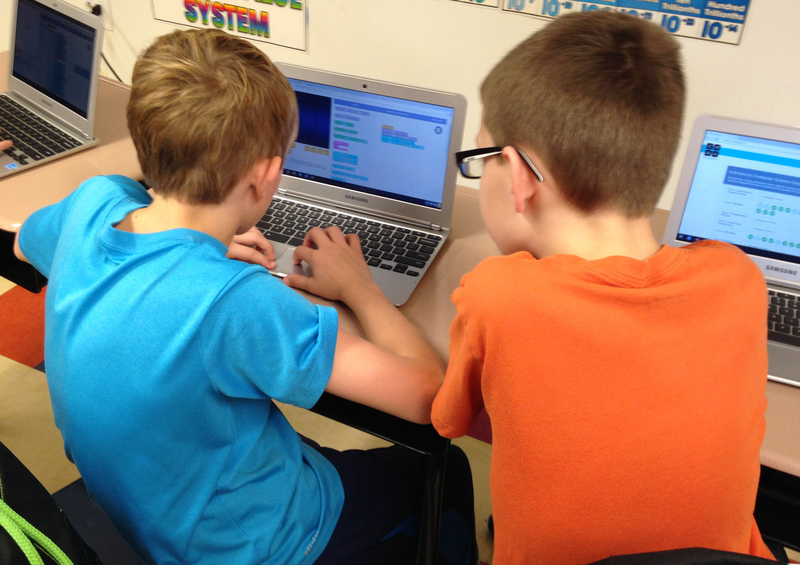 Students help each other with their code. A student shows off her work. Students find satisfaction in solving coding puzzles. Collaboration is a key element of problem-solving. 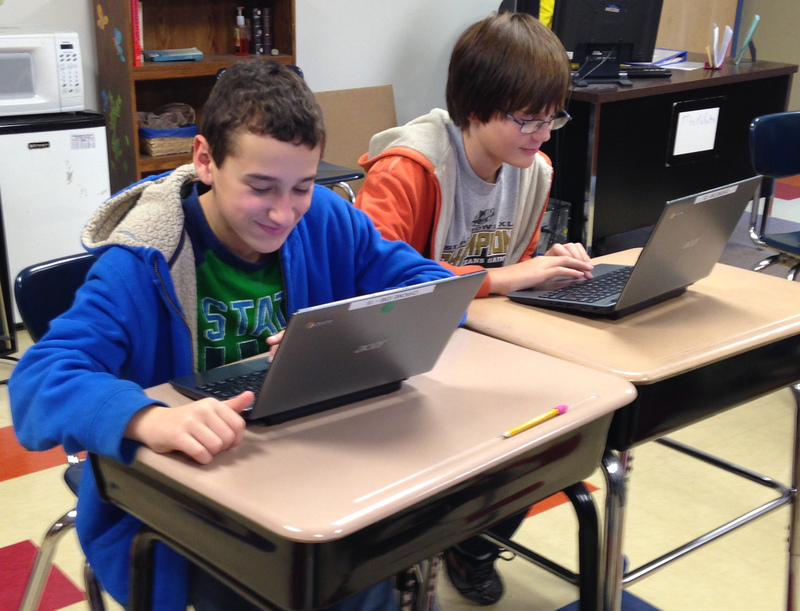 For sixth graders in Mrs. Grove’s class, the learning has extended beyond the hour of code. 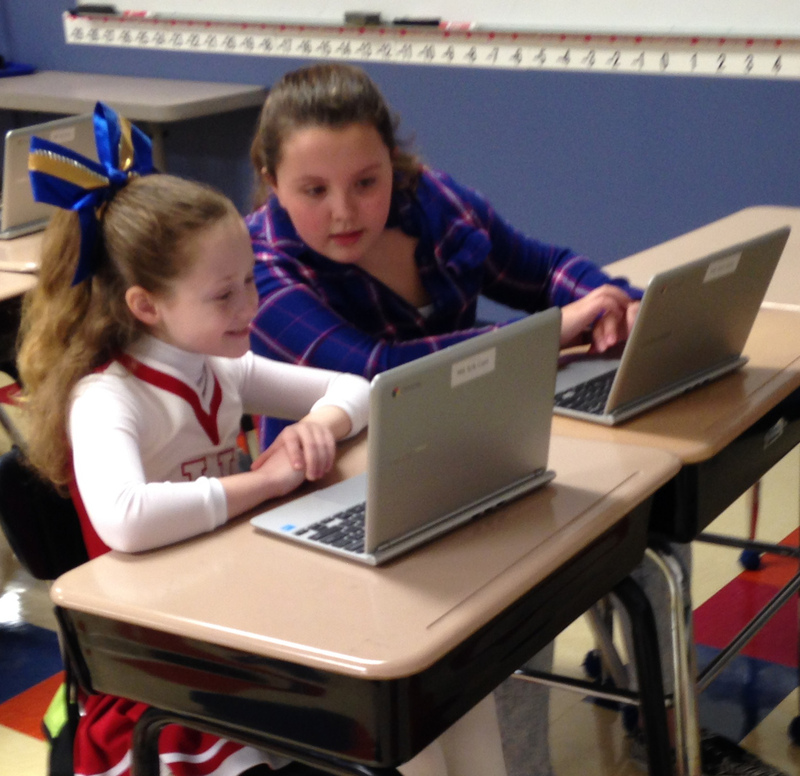 Her students have been progressing through a 20 hour coding curriculum since October. 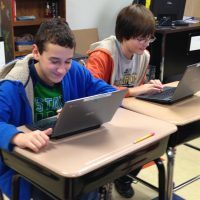 Working at a chromebook, each student is able to work through the curriculum at their own pace, learning the basics of code such as if statements, loops, and functions. 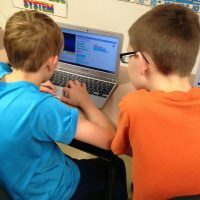 Although the work is individual, students love sharing their work with each other in class, showing off successful code and going to their peers for help when they get stuck. One student commented that, “I like the different videos that teach you how to do it,” referring to instructional videos through code.org, and adding that “I like the games it is based off of.” Another student asked about the program said “It’s challenging and fun to take a break from academics!,” not realizing that through playing games and working through the program, the student is learning important academic skills. Although many students enjoy the game-like nature of some of the tasks, students also have to work through challenging problems. “Sometimes a level takes a long time to figure out,” explained a student, but “then I usually get it.” In addition to facing the challenges of getting code to work, students are also challenged when the program expects them to rewrite their code more succinctly, expressing their solutions in a minimum number of lines. By facing and overcoming these frustrations, students are learning perseverance and problem-solving skills useful not only in computer science, but throughout their education. Through the hour of code, students are beginning to understand the logic behind the electronic devices we now use on a daily if not an hourly basis. This was the second year that the Hour of Code was promoted nationally as part as Computer Science Education Week. This year, even president Barack Obama got involved promoting the hour of code, participating himself to show that if you start simple, you too can become a computer scientist.